Charging Stations: All Library locations offer charging stations for your digital devices. VR Tech: A wireless virtual reality headset and gaming/experience solution is available to customers at library VR events. iPads: Take technology for a test drive! 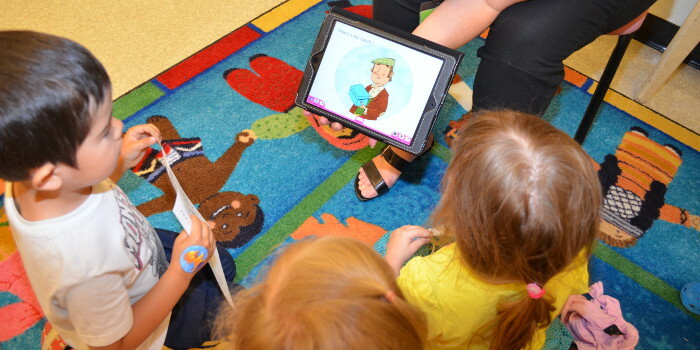 We have iPads available for in-library use at all four library branches. Loan periods are for 1 hour. Computer and Internet Access: Each of our Library branches offers free Wi-Fi during our hours of operation as well as computers for personal use. Tablets: Take technology for a test drive! Borrow a tablet for 3 weeks and see if tablets are for you. They also make great travel companions! Printing, Photocopying and Scanning: We offer printing and copying at all branches: $0.15 per black and white page; $0.35 per colour page. To use our printing services please see one of our staff members to pre-load a print credit on your Library card. We also offer free scanning to e-mail. Wi-Fi Hotspots: Borrow a portable Wi-Fi Hotspot to use anywhere, anytime you need it. Wi-Fi Hotspots can be borrowed for one week at a time with unlimited data, and at no charge to the borrower.